Orange Archives · Stop the Cap! Orange Poland has launched a new fiber to the home package that bundles 300Mbps broadband, 119 television channels, a Livebox 3.0 fiber-ready gateway, a whole-house DVR, and unlimited calling for $64.50 a month with a two-year contract. The new service is now available to more than 14,000 homes in Warsaw and has gotten good reviews from about 1,000 beta test subscribers. Orange Poland says their fiber network is capable of faster Internet speeds, which it is considering introducing after the initial launch is complete. In comparison, Time Warner Cable now offers its customers 50Mbps Internet service, a cable modem, over 200 television channels, whole house DVR service, and unlimited calling for a promotional price of $165.50 a month for 12 months – $100 more a month. Monika Torbińska , director of marketing for residential services at Orange, said that the company was pleased with the results of the pilot and now believes it has a strongly competitive product in the Polish market. 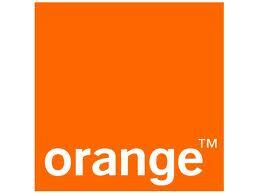 Orange plans to gradually expand its fiber optic network in the Polish capital and eventually beyond.